The first apparel event in The Division 2 is now live. The apparel event is a limited time event that allows agents to unlock new apparel through apparel caches. The apparel event will run from April 5, 2019 – May 2nd, 2019. The event contains 30 items in total – including emotes, outfit sets, weapon skins and gear dye’s. All of which can be unlocked by opening apparel event caches. To open the apparel event caches, you will need keys. To get keys you will either need to purchase them, or obtain them by playing the game. Apparel event cache keys are unlocked by completing various activities. Some of the activities you can complete to unlock apparel keys are projects, and by simply leveling up your agent. Keep in mind that you don’t get the cache, you get the key to the cache. Once you have unlocked a cache key, head to the apparel cache section of the menu and open your apparel cache. 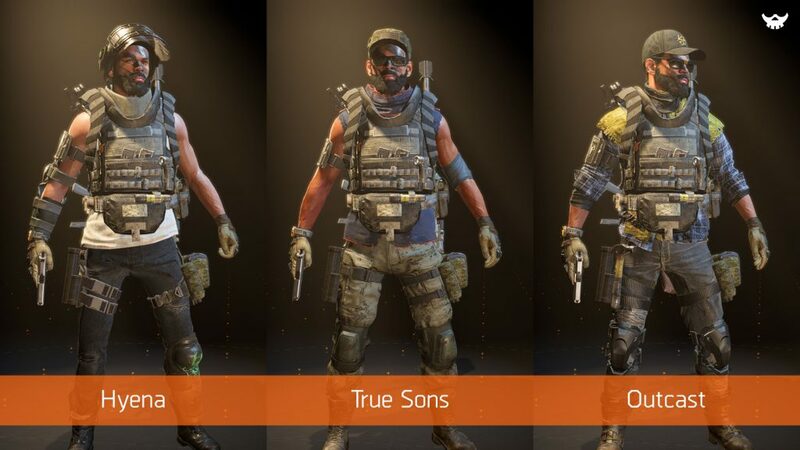 In total there are 30 items in the first apparel event of The Division 2. These items consist of emotes, clothing, weapon skins, gear skins, an outfit and two masks. When opening the apparel cache’s keep in mind that you will not get duplicates, so you will get a unique item until you have all 30 items unlocked. 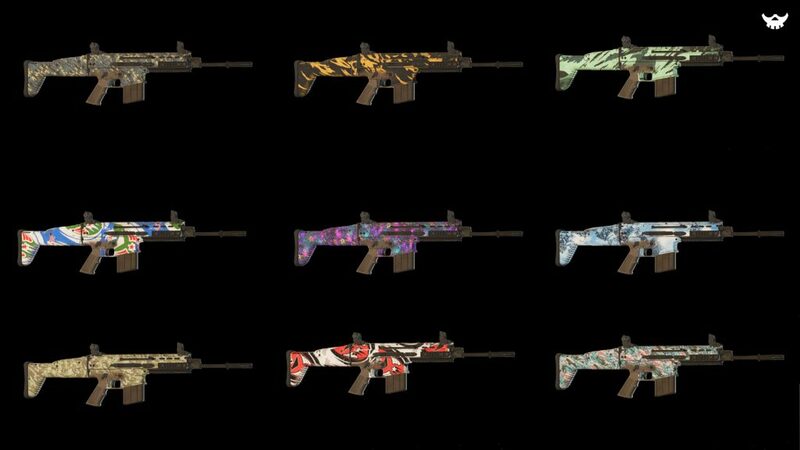 In total there are 9 weapon skins. Each weapon skin can be equipped unlimited times to whichever weapon you would prefer. In total there are 4 emotes in the first apparel event of The Division 2. To unlock the gear skins / dyes you must collect all the respective faction apparel. In this event agents are able to unlock unique clothing items for the factions Outcast, True Sons and Hyena. 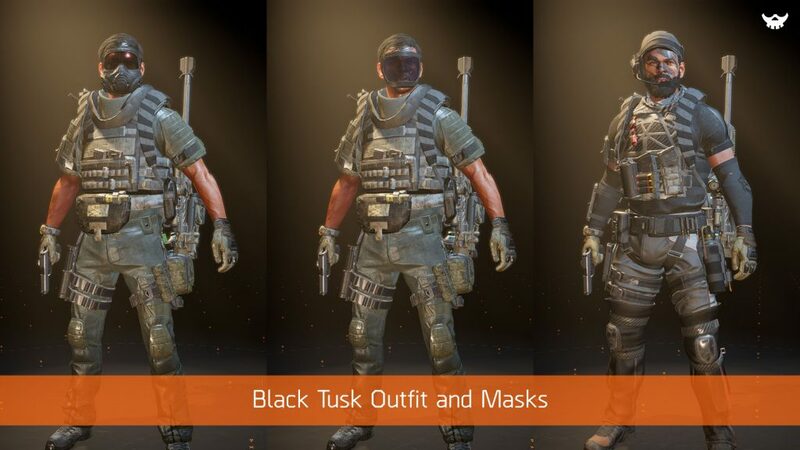 Once you have collected all items you will be rewarded with unique black tusk gear. Keep in mind that these items are not in the caches, and can only be unlocked after collecting all of the other items.